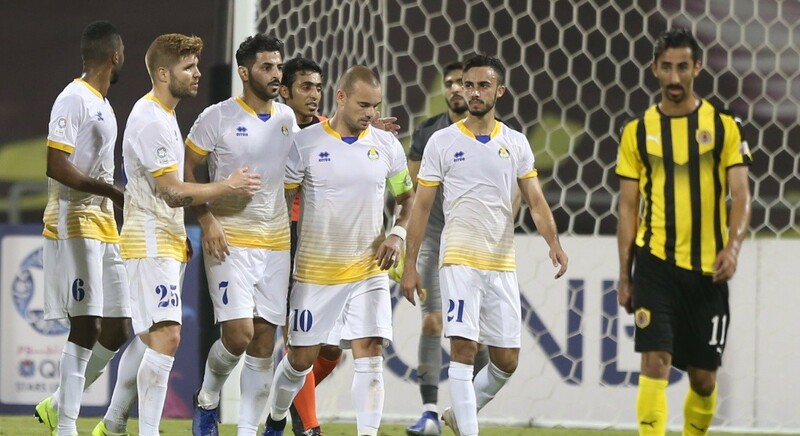 Al Gharafa rode on a double strike by Wesley Sneijder to beat Qatar SC 2-0 in Week 12 of the QNB Stars League at the Qatar SC Stadium on Thursday. Sneijder (45+2 penalty and 83rd minute) scored Al Gharafa’s both goals. The star Dutch midfielder took his tally for the season to six goals. The night also turned sour for Sneijder as he received red card for fouling Qatar SC goalkeeper Jassim Al Hail in stoppage time. The victory, Al Gharafa’s fifth in this season’s league competition, saw them move to 18 points. Qatar SC remained on 11 points after crashing to their seventh defeat and first under Argentinian coach Sergio Batista. Qatar SC called the shots early on and dominated possession as Al Gharafa took time to settle down. The Kings created more chances, but it was The Cheetahs who took the lead at the stroke of half-time. 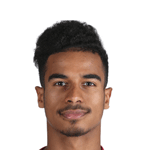 In hindsight, Qatar SC’s attacks lacked teeth in the absence of Cameroonian striker Samuel Eto’o and bright Qatari prospect Ahmed Moein, who both were injured. Syrian striker Osama Omari, Ali Awad, Ali Said and Hussein Ali tried their best and, in fact, came close to scoring. However, Al Gharafa goalkeeper Yousef Hassan proved to be the stumbling block for them on most occasions. At other times, the Qatar SC attackers came up with feeble shots. Ali Said had two chances in the first half and one in the second. The best was in the 27th minute when he capitalised on a defensive blunder, but could not get past Hassan. Osama too had a good chance to score close to half-time only to be thwarted by Yousef. Then came the first goal. Iranian striker Mehdi Taremi took the ball all the way to the rival box from deep before being tripped by Al Hail. Sneijder converted the resultant penalty. The script was not much different in the latter session. Qatar SC had more of the ball, but it was Al Gharafa who struck for one more time late in the game. Sneijder pounced on the ball after Sandro Ferreira fumbled with a clearance and slotted the ball past Al Hail.